COLUMBUS, Ohio (AP) — Before there was Google, Amazon or even an internet, there was big data in what may seem an unlikely place: a chemical research clearinghouse in the heart of the American Midwest. 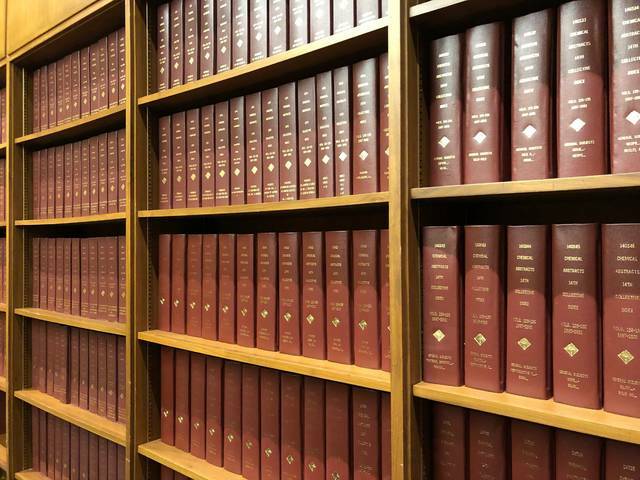 For more than a century, Chemical Abstracts Service in Columbus has been gathering and summarizing chemical research breakthroughs from around the globe and then sharing them with researchers, technology developers and businesses. Their abstracts represent the bulk of humanity’s chemical discoveries. The work has always been painstaking, requiring hundreds of data specialists and scientists fluent in many languages. And once the abstracts moved from fat paper volumes onto computer servers, it also required a lot of electricity. So along the way, the center became an early adopter of energy efficiency technologies to help rein in the power demands of a fast-growing sector that environmentalists have warned represents a looming climate change threat. “Data centers are the biggest drivers of new demand in the U.S. currently, and one of the biggest in the world, simply because it’s going so fast,” said Gary Cook, director of Greenpeace’s Rethink IT campaign, which has been pressuring major data companies for a decade to reduce the use of coal-fired power. Kris Woods, Chemical Abstracts Service’s director of technology infrastructure, said the nonprofit’s award-winning energy efficiency conversion in 2014 helped the center save money, was in keeping with its mission and better for the environment. The center, a division of the American Chemical Society, hosts three petabytes of data in a 16,800-square-foot center. That’s 300 times the digitized text collection of the Library of Congress. All that requires about 800 to 850 kilowatts of electricity at any one time — almost twice that used to run the Empire State Building. 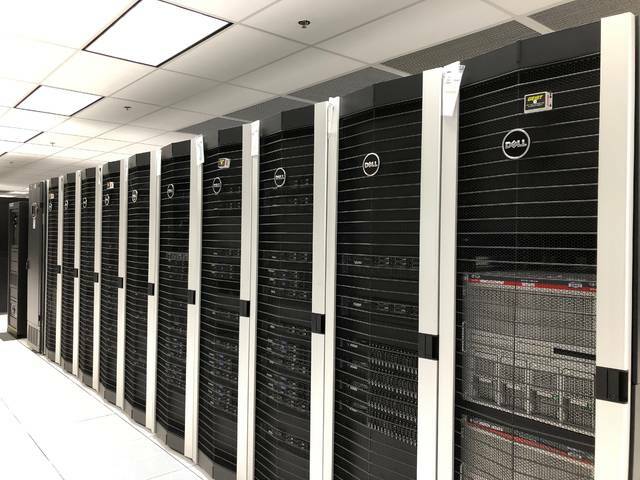 To meet and reduce its power requirements, the center employed intelligent systems — “with weird names like Hadoop, TensorFlow and Solar” — that help predict and manage the data center’s power consumption. That’s made it possible, for example, to pinpoint temperatures in the center second-by-second so that only 11 of 21 its air conditioners need to be on much of the time. 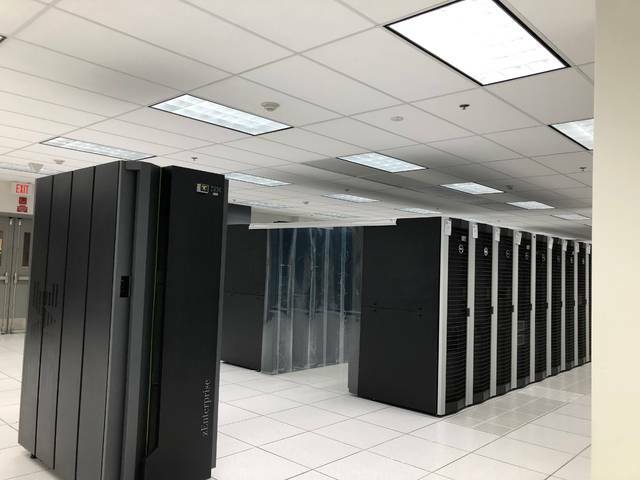 Its efforts won the center a coveted award in 2014 for “green computing” from the Seattle-based Uptime Institute, which sets various benchmarks for data center operations. Since then, inexpensive electricity has been a factor in driving a boom in data centers heading to central Ohio, including by Amazon Web Services in 2015, Facebook in 2017 and Google last year, said Columbus 2020 President Kenny McDonald, a central Ohio economic development organization. They are three of 16 data centers that have arrived in the area since 2010. “It’s energy. Data centers are basically converting electrons into bits at scale,” Cook said. An Ohio law required American Electric Power to offer energy efficiency savings such as those received by Chemical Abstracts Service. The same law is also requiring the utility to increase the share of green energy it produces. Woods said CAS “tries to be very green” about how it uses energy, cognizant that data centers could be consuming 14 percent of the world’s electricity by 2040. Follow Julie Carr Smyth at https://twitter.com/jcarrsmyth.